Current Conveyors (CC) are active circuit elements which perform analog signal processing. CCs were developed as an alternative to the classical Operational Amplifiers (OPAMP). Unlike OPAMPs, CCs are current-based and they operate according to the principle of ‘current conveying’ from one terminal to another. As a modified version of the First Generation Current Conveyor (CCI), Second Generation Current Conveyors (CCII) is versatile and useful in designing analog circuits such as filters, amplifiers, inductor simulators etc. In this paper, one grounded and one floating inductor simulator designs are given. These simulator designs are based on CCII’s and passive elements like resistors and capacitors. Both inductor simulator designs are lossy and simulate real inductors that have internal resistance. The simulators simulate an inductance in series with an internal resistance. Since inductors are non-ideal, noisy, bulky circuit elements, it is reasonable to simulate their behavior under certain frequency range using CCII’s as active elements. In this study, inductor simulators are created first by BJTs & passive elements in SPICE environment and created inductor simulators are tested in a Low Pass Filter (LPF) for a frequency range up to 10MHz. Moreover, both simulators are realized for experimentation using commercially available Analog Device’s AD844’s which can perform as a CCII & using resistors and capacitors. Realized inductor simulators are tested in the same LPF. The gain of the filter is measured for 15 different frequency values which are located between 10 Hz-10MHz. Finally, both SPICE simulation and experimental results are compared for the same LPF which is constructed using ideal inductor. It is concluded that a lossy, real inductor can be simulated up to certain frequencies by using CCIIs both in simulation environment and experiment.
.	Smith, K.C. ve Sedra, A., 1968, The current conveyor: A new circuit building block. IEEE Proc., 56: 1356-1369.
.	Smith, K. C. ve Sedra, A., 1970, A second generation current conveyor and its applications. IEEE Trans. Circuit Theory, CT-17: 132-134.
.	Soliman, A. M., 1973, Inductorless realization of an all-pass transfer function using the current conveyor. IEEE Trans. On Circuit Theory, CT-20: 80-81.
.	Pal, K., Singh, R., 1982. Inductorless current conveyor allpass filter using grounded capacitors. Electronics Letters, 18(1): 47.
.	Nandi, R., 1978, Active inductance using current conveyors and their application in a simple bandpass filter realization. Electronics Letters, 14: 373-375.
.	Fabre, A., Saaid, O., Wiest, F. ve Boucheron, C., 1995. Current controlled bandpass filter based on translinear conveyors. Electronics Letters, 31(20): 1727-1728.
.	Frey D.R., 1993, “Log-domain filtering: An approach to current-mode filtering”, IEEE Proceedings-G: Circuits, Devices and Systems, Vol. 140, pp. 406-416.
.	Senani, R., 1985. Novel high-order active filter design using current conveyors. Electronics Letters, 21(22): 1055-1056. ISNAD DEMIRTAS, Mehmet . "Grounded and Floating Real Inductor Simulations and Experimentations using Second Generation Current Conveyors". 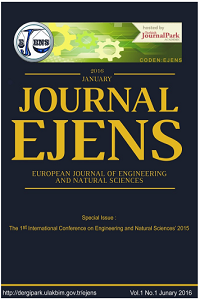 European Journal of Engineering and Natural Sciences 2 / 1 (February 2017): 181-187.